Golden Heritage Accommodation offers picturesque views of Historic Beechworth from wide elevated verandas and decks surrounding the Motel, Self-Contained Spa Cottages and Apartments. As with any 4 Star property, we offer free WIFI, relaxing pool area, BBQ facilities, mini bar and a limited room service menu. 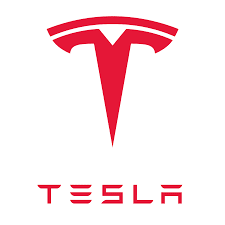 A complimentary courtesy vehicle is also available to take you to the town centre or your favourite restaurant. Our location attracts an abundance of bird life and makes it an ideal starting point for a bike riding adventure or a leisurely stroll through Parks Victoria Beechworth Historic Park and The Gorge. Beautifully appointed fully self contained 1 and 2 bedroom cottages. 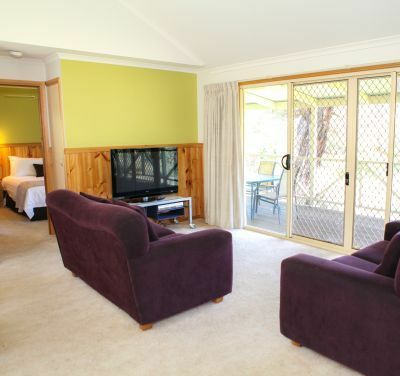 Golden Heritage Motel offers a choice of Executive King Suites with views over the Beechworth Gorge, Deluxe Queen Rooms and Family options. 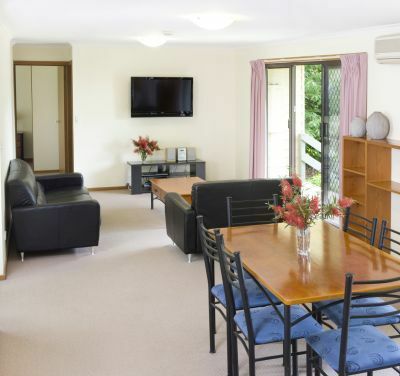 All the rooms are spacious and have been recently refurbished with modern amenities, microwaves, pod coffee machines, 42” LCD TV’s, Foxtel and quality heating and air-conditioning. Golden Heritage Spa Cottages are fully self-contained with a choice of either 1 or 2 queen bedrooms. 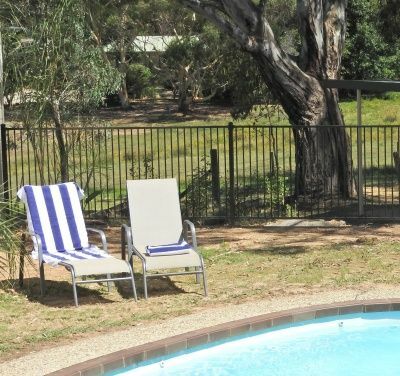 All the cottages have private verandas, a kitchen, lounge and dining room, ensuite bathroom with a large spa bath, and all the amenities found in the motel accommodation including quality linen. Annies Holiday Units are fully self-contained 2, 3 and 5 bedroom apartments with a large lounge and dining room, kitchen with full size fridge, quality linen and amenities. 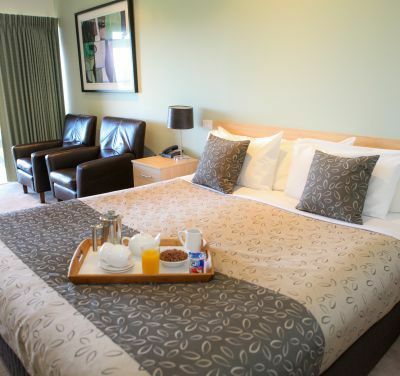 The main bedroom has a queen size bed and LCD TV, while each addition bedroom has 2 single beds. Golden Heritage Accommodation is located 2 minutes drive from the centre of the historic village of Beechworth or a leisurely 15 minute walk have you browsing for hours through exquisite boutiques, specialty shops and cafes. Sample the delights from Beechworth Honey, the famous Beechworth Bakery and Beechworth Sweet Co., indulge in a gourmet wood fired pizza washed down with a handcrafted ale at the Bridge Road Brewers or just soak up Beechworth’s rich, gold rush history. Beechworth is a perfect destination for a getaway, travel stop over between Melbourne, Sydney and Canberra or to enjoy one of the many annual festivals. 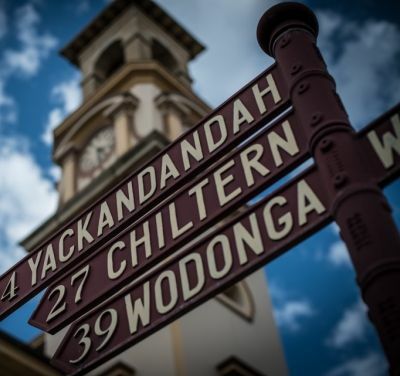 Whether you are visiting Beechworth for business, or a family holiday, cycling the Murray to Mountains Rail Trail, discovering the intrigue and mystery of the Beechworth Ghost Tours or uncovering the legend of Ned Kelly at the Beechworth Gaol, the Golden Heritage Accommodation has an accommodation package designed to suit you. Listen to the frogs croaking in the eco-pond or watch the native birds in the gardens, this property offers many unique features. 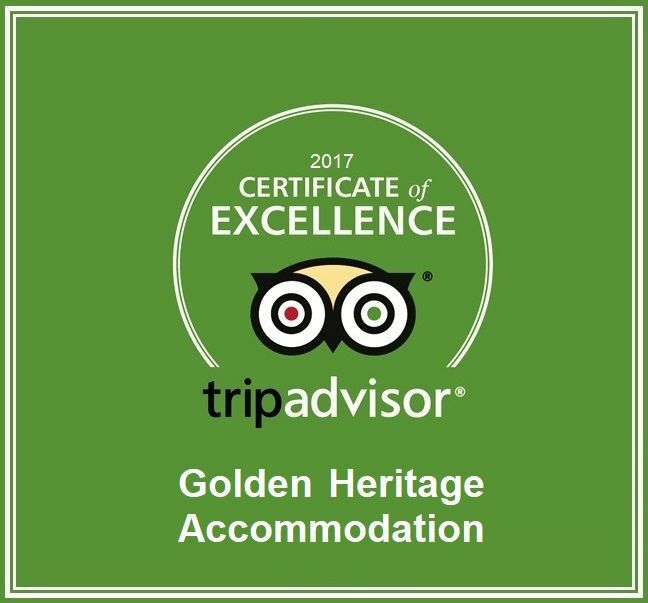 By listening and acting on our guests feedback has enabled us to achieve a Trip Advisor Certificate of Excellence Award. Beechworth is centrally located to many towns and villages, so why not stay awhile and discover the North East. Whether road, rail trail or mountain bike riding, Beechworth has many options to suit families right through to the weekend racers.